Fans of Makeup Revolution are in for a treat, tomorrow, 5th of December will see the brand expand their ever-expanding makeup line even more and add some new additions to the MUR family. You've probably seen some sneak peaks here and there, a lot of palettes and some lip products thrown into the works - both of my personal makeup favourites. 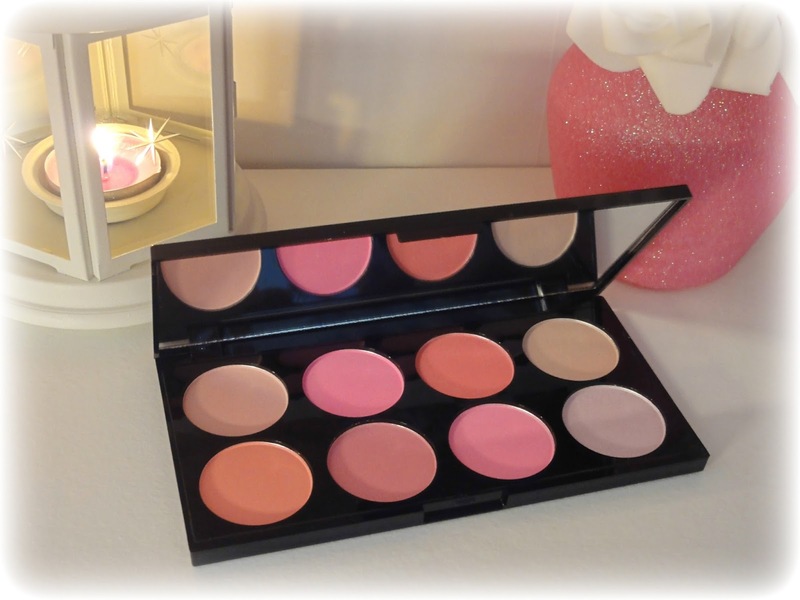 Today I'm back with another Makeup Revolution newbie, a new addition to the ultra professional blush palette family, the ALL ABOUT PINK blush palette. It's a beauty! I've been a huge fan of the ultra professional blush palettes since the first release, and still till this day I use the first palette I ever got religiously. This palette is no exception - It's like looking at a piece of art. The packaging is the shiny, black case (that we are use to seeing from the brand) with a great-sized compact mirror. 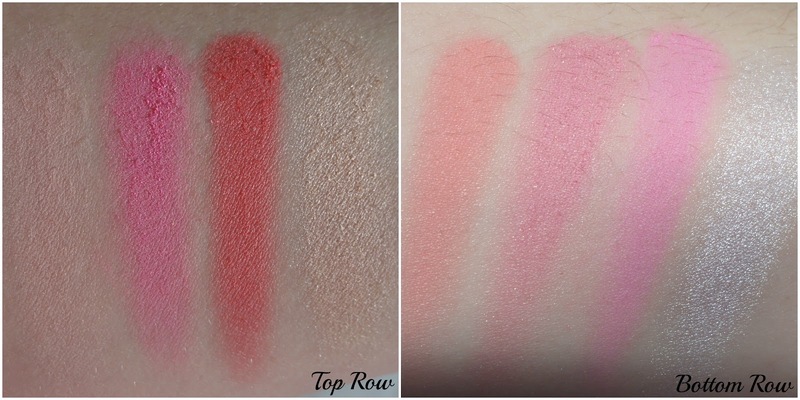 Inside are a mixture of beautiful blushes and a couple of highlighters. The name it's self is quite fitting and describes the palette in one word... it's all about the PINKS! I love pink, but when it comes to blusher I've always walked in the opposite direction, getting to trial this is fantastic for me because it means I get to go out of my comfort zone and get a little more creative with colour. The pinks are just the most perfect tones, not to in your face, but completely build-able if you want to have a more intense blush. Today I'm wearing the beautiful coral shade (on the bottom left) and the silvery highlighter (bottom right), and I'm just so in love. I'm so obsessed with highlighters and Makeup Revolution get them spot on every time. They always leave a beautiful shimmer that leaves you glowing. The blushes are just stunning too, leaving a lovely pop of colour. Some of the shades have just the slightest shimmer. If your a fan of a blush and pink this is definitely one to add to the wishlist! I predict a best seller here. My 3 year old even gives it a 10/10 for prettiness. 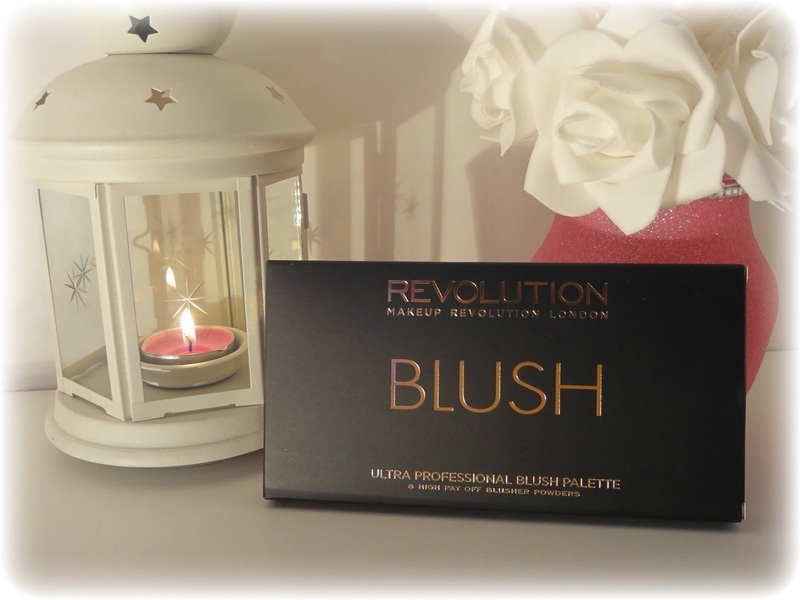 I love the makeup revolution blue palettes, the colours are amazing. It's both affordable and the quality is amazing. I love the sugar and spice one really nice. 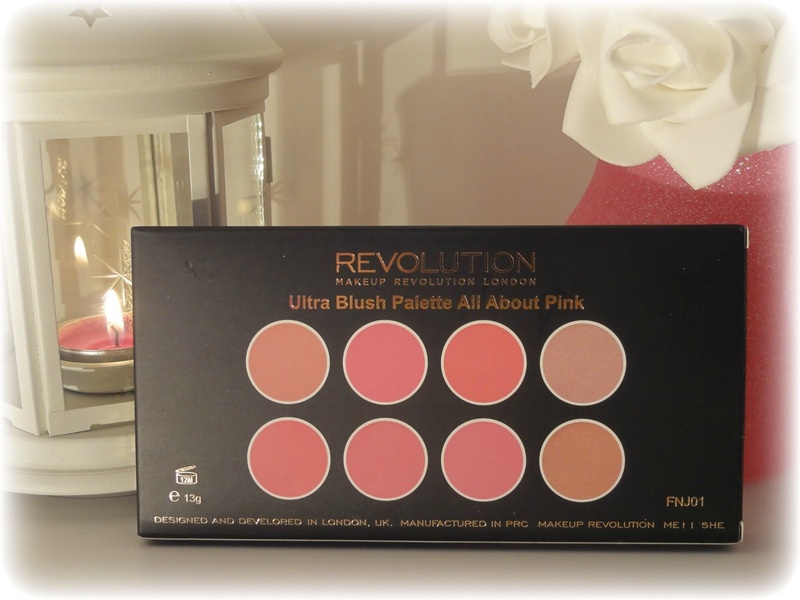 I love Makeup Revolution products, this is another amazing gem from them! 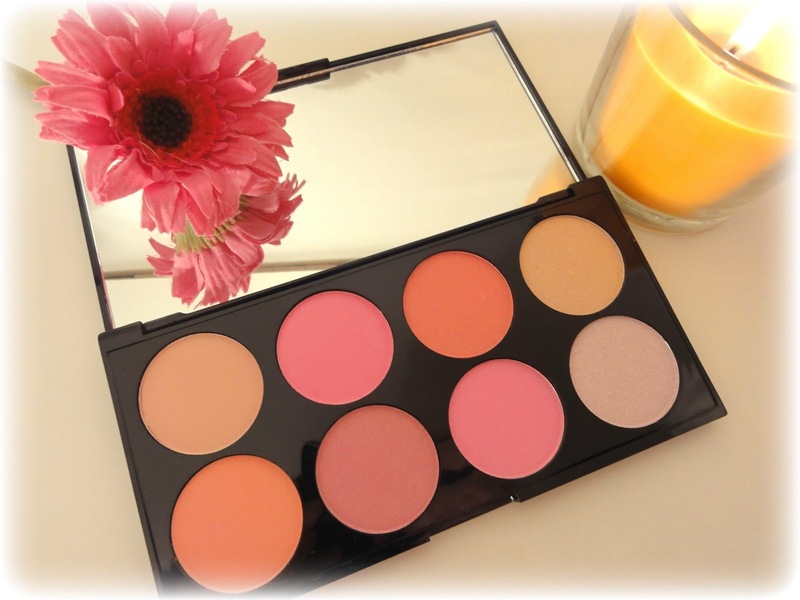 I own one of these palettes, they are so good and so versatile! This palette is beautiful. I love the variety of colours which can create various amazing looks. This looks amazing. The colours are beautiful and its super cheap. I've never actually heard of this brand before. Did you buy it online or in store? What a beautiful palette! Those coral blushes are so pretty!